This restored 1898 landmark on Rt. 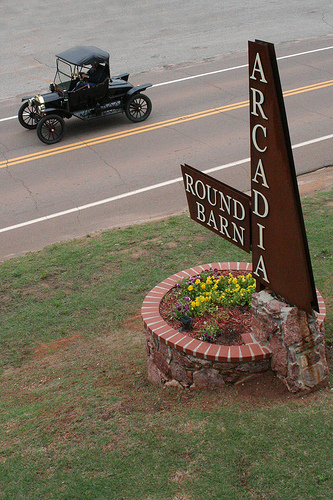 66 is the only wooden round barn in Oklahoma. Exhibits & gift shop inside, with outdoor displays of primitive farm implements. 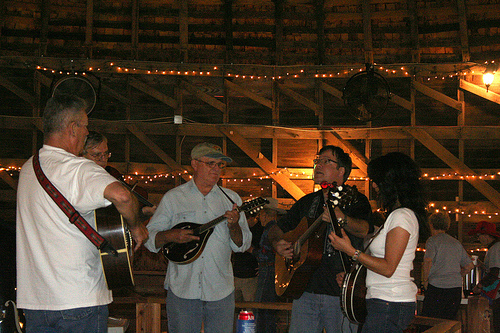 Second floor is available to rent for special events. Also houses the Arcadia Historical and Preservation Society. Free admission, gift shop & meeting room. Days/Hours: Mon - Sun, 10am - 5pm. Tour Bus Parking. From I-35, go E. on Hwy. 66 for 6 mi.